here's some insight into your first experience at The Loop Fitness. Our goal is to introduce you to different workout styles and get you comfortable with exercises you'll experience in a typical class. We will learn about you and create a path to get you on board at your own pace - and we'll be there along the way to support you. We know new things can be intimidating, but we're confident our expereinced staff and supoortive community will get you into a rhythym in no time! This is our opportunity to get to know more about you and your journey. We'll talk about your goals and experience to ensure you get on the best path for starting out. We'll set you up with 1-on-1 personal training sessions to teach you the exercises you'll be experiencing at The Loop. We want you to be safe and confident heading into your first class! Once you feel ready, you'll have the option to choose from any of our class offerings and enjoy the path to a healthier, fitter you with your new fitness family! How do I know if I'm ready for CrossFit? If you are reading this, you are ready for CrossFit. You don't have to be in shape to start. We start right where you are and guide you through the process of becoming a healthier you. What do I need to bring on my first day? A willingness to change and a smile on your face. OK, practically you can bring some water and make sure you eat 1-2 hours before your first session. 13 years to 101 years young. If you fall in that category you are welcome to join us! We have an awesome kids CrossFit Class for younger kids. Getting started has never been easier. 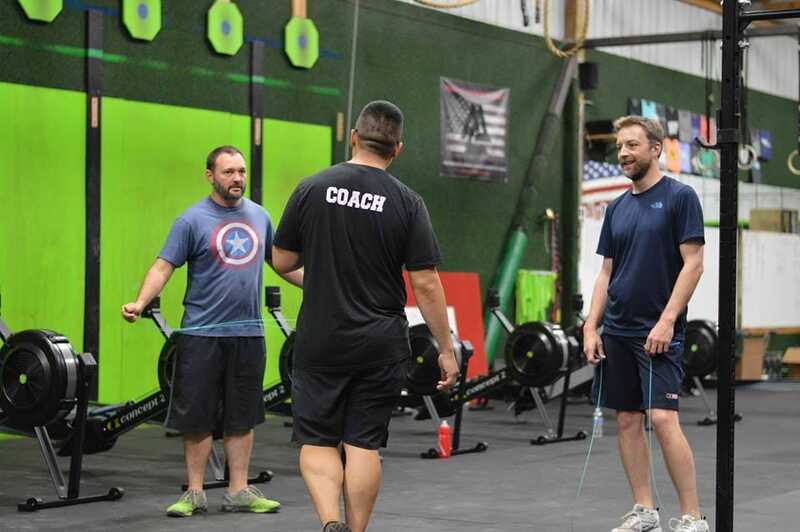 The Loop Fitness was established by Coach Mitch Roehl in 2013 (formerly Mountain Loop CrossFit). His passion for coaching people to healthier lives is the core that grew The Loop's incredible community. From group classes to one-on-one personal training, our team will help start or guide you on your fitness journey!